Lisa and I are in Philadelphia this weekend. 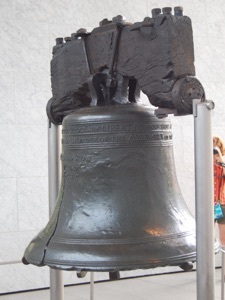 As you can see above, we came to see the Liberty Bell. We saw lots of other sights as well. There is a lot of history in Philadelphia. -Visit the Old City Hall where the USA had its first Supreme Court. 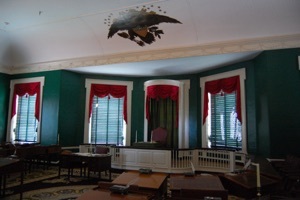 -Visit Congress Hall where the first Senate and House of Representatives met. 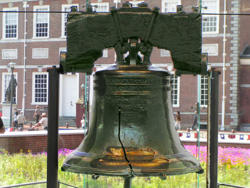 -Visit Independence Hall where the declaration of independence was signed. -Visit Dolly Madison’s house and Bishop White’s house. -Visit the first post office. 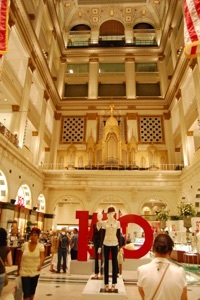 -Visit the largest operating pipe organ at the Wanamaker building (which is now a Macy’s building). -Visit Reading Terminal Market where we had some fine cooking by Pennsylvania Dutch Amish. It was a full day. We walked a lot and saw a lot. Lisa will prepare a full report. In the meantime enjoy some of the photos we took. 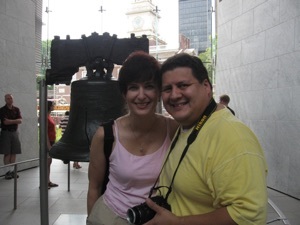 Jaime and Lisa in front of the Liberty Bell. Jaime and Lisa in front of Independence Hall. The reason we came to Philadelphia. 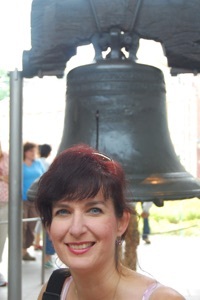 Lisa in front of the Liberty Bell. The first Senate at Congress Hall. 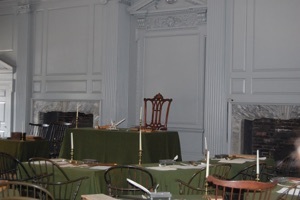 The Assembly Room in Independence Hall. Here is where the declaration of independence was signed. 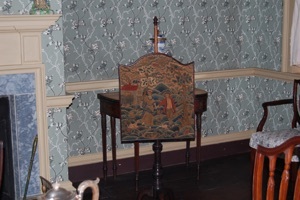 Tapestry found in Bishop White’s house, social reformer and leader of the Episcopal Church. The world’s largest playing pipe organ at the old Wanamaker Department Store building. Wow! 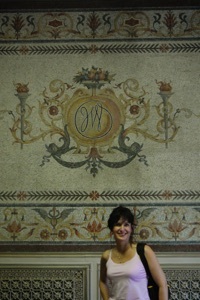 Lisa in front of mosaic at old Wanamaker Department Store building. 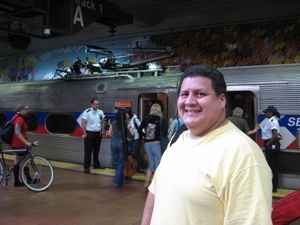 Jaime in front of a SEPTA train. We rode it into downtown Philadelphia from our hotel by the airport. 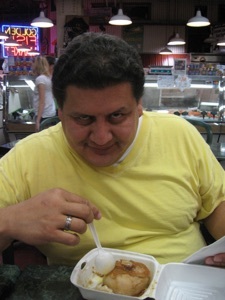 Jaime enjoys a Pennsylvania Dutch Amish apple dumpling at Reading Terminal Station.